Paperback, 6.5 x 8.5 in. / 240 pgs / 70 color / 10 bw. 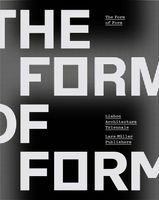 Edited by Anna Hofmann, Martin Zimmermann. “Rome, golden, eternally powerful, glorious, world-dominating Rome, sovereign of cities, city of cities, the fortunate, regal, holy city, the greatest of cities, seat of empire and glory.” In 1927, the historian Ernst Kantorowicz summed up with this single sentence the eulogies paid to Rome since Antiquity, and the fascination the “eternal city” continues to attract today. However, the masses of visitors looking for this glorious past in Rome barely take note of the contemporary rifts in the city. Rome therefore has a unique challenge—it must preserve its monuments and historical heritage, without losing sight of current urban developments and the needs of its own inhabitants. 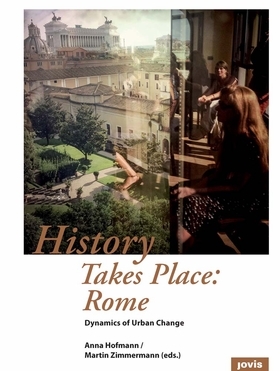 History Takes Place: Rome, featuring contributions by young scholars from a variety of disciplines—history, art history, archaeology, cultural and social sciences, architecture and urban planning—opens up new perspectives on the history and future of this fascinating city. FORMAT: Pbk, 6.5 x 8.5 in. / 240 pgs / 70 color / 10 b&w.